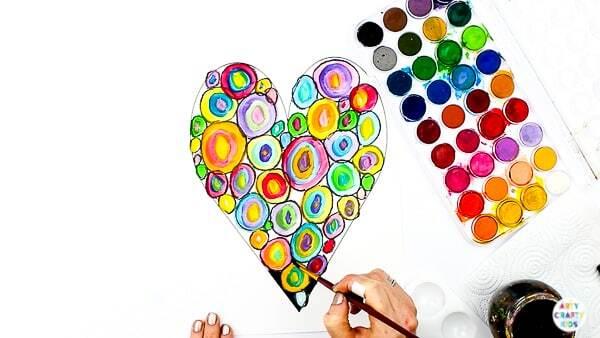 Swap the squares for a heart and we have a brand new Kandinsky Heart Art Project for kids to try this Valentine’s! Kandinsky’s famous concentric circles’ painting is a fabulous source of inspiration for kids and is often used by art teachers to explore colour mixing concepts. 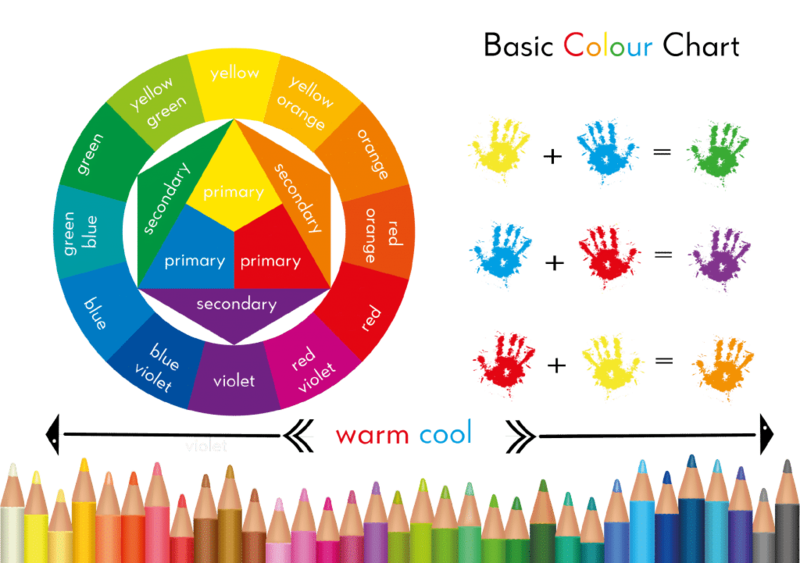 This simplified version is all about playing with colour combinations and as your Arty Crafty Kids work through the process, they will discover their favoured palette. 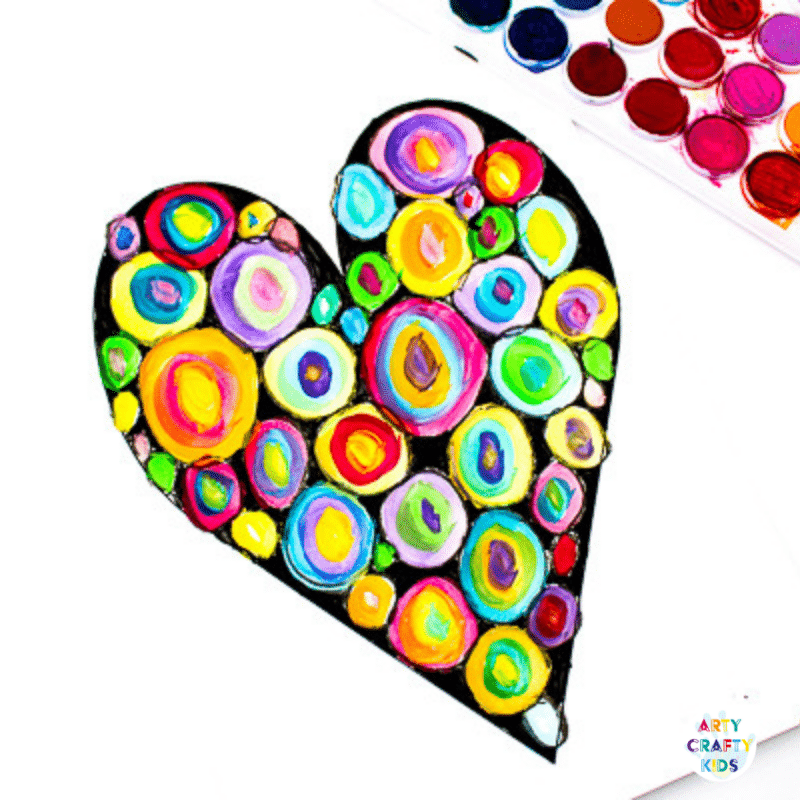 The Heart Template is available exclusively to Arty Crafty Kids Club members. 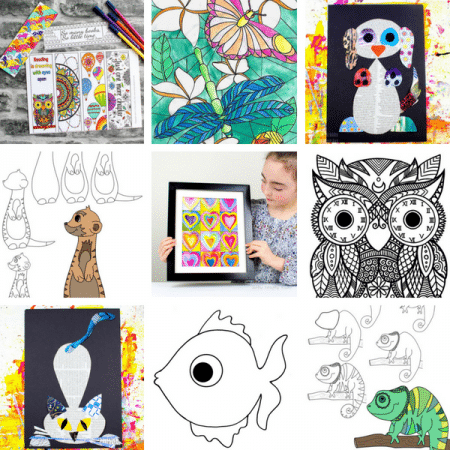 Join the Arty Crafty Kids club to download the template and access our complete collection of Art & Craft templates, Colouring Pages, How to Draw Guides, Activity Booklets and much more! Already a member? 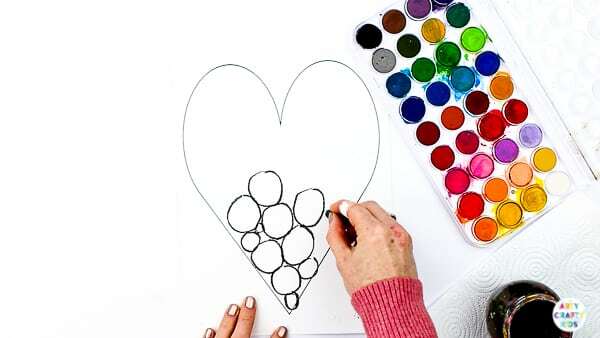 login here and search for ‘Circle Heart Art Template’. 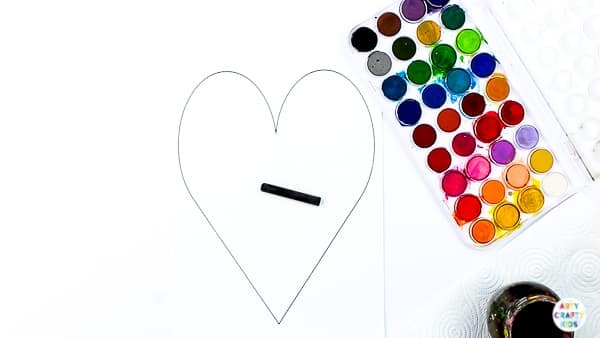 Download and print the Heart Template onto white card stock. 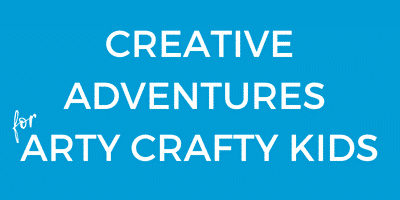 The template can be accessed via the Arty Crafty Kids club! 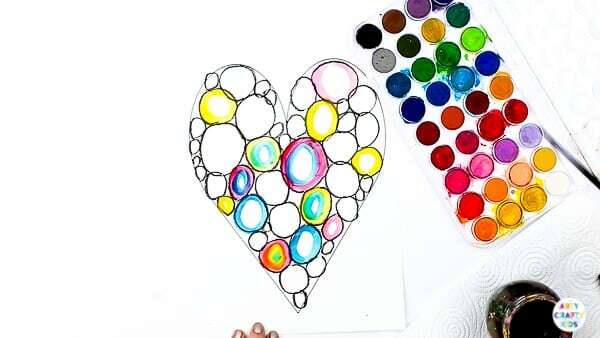 Using a black crayon or oil pastel, begin filling the heart with circles. 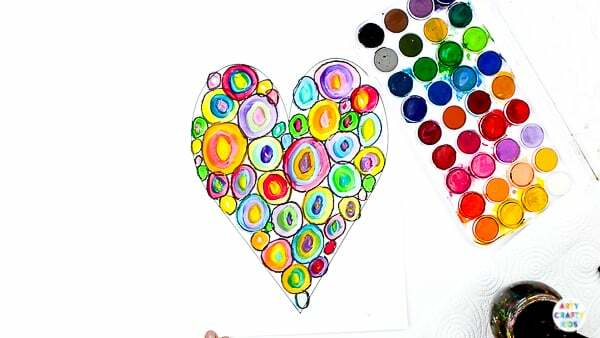 The circles can be large, small, wonky and may just about resemble a circle – the shapes and their presentation is entirely up to your Arty Crafty Kids. The challenge is to fill the white space with as many circles as possible! 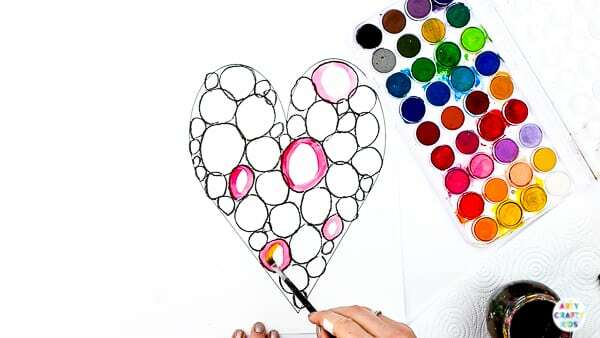 Once the white space is full, begin filling the empty circles with watercolour paint. 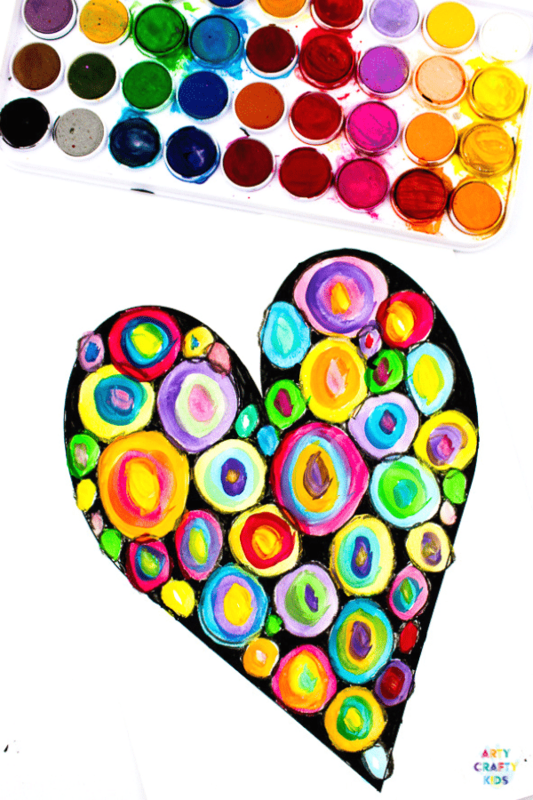 In the spirit of Kandinsky’s Circles, play with different colour combinations and paint circles within circles. Perhaps fill some with cool shades and others with warm. Mix and match the two to create bold contrasts. Try mixing colours to create brand new shades! Continue filling the circles until complete. 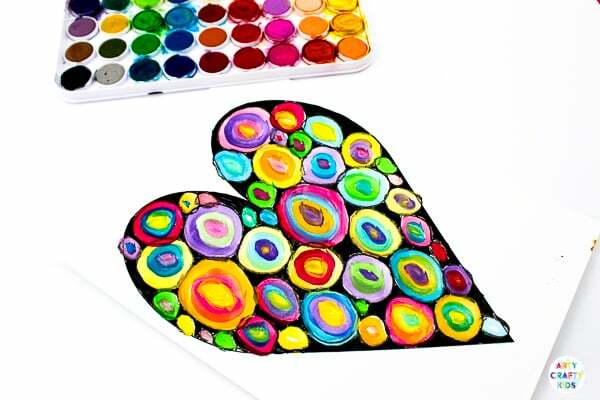 Fill the remaining white space around the circles (also known as negative space) with black paint (or a black crayon/pen). Of course your Arty Crafty Kids are welcome to fill the white space with any colour of their choosing, however for the purpose of contrast, we opted for black. 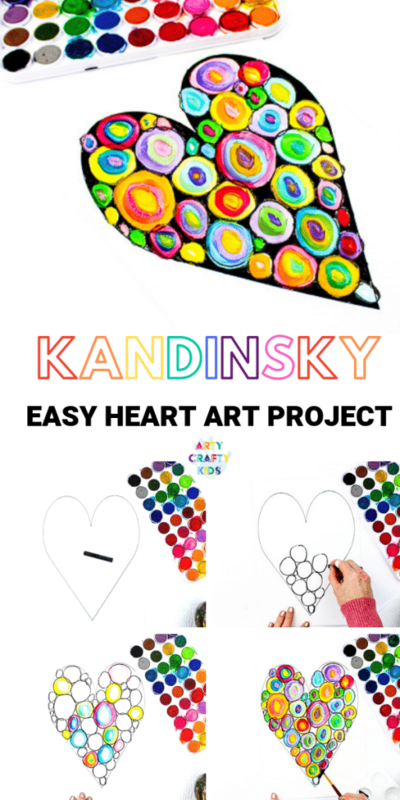 Once all the white space has been replaced with black, the Kandinsky Heart Art Project is complete!